BMW has unveiled more details on its new Product Navigator, based on Microsoft's Surface PC technology. Fancy designing your dream, uber-specced BMW? 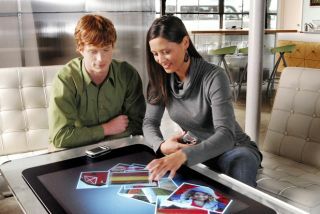 If so, head down to your local BMW dealership to play with the MS Surface. Though be warned, don't get too carried away if you are serious about buying up your new Ultimate Driving Machine, because BMW is not yet offering any credit-crunch beating deals on its new cars! "BMW's Product Navigator is like the iPhone, only supersized and on steroids, and it proves that the inventive types at Microsoft are alive and well," reads an Autoblog post on the news. You can save your finished project to a USB key and take it home with you to fiddle with (or idly dream about) to your heart's content. Or until you manage to land that lucrative new contract. Check the vid now over on Autoblog.